"JOINT, NOT JUST COMBINED "
NRDC-ITA is an active and leading contributor to NATO Force Structure for the maintenance of peace and security on the international stage. NRDC-ITA has the military capacity needed to undertake crisis-management operations, alone or in cooperation with other HQs and international organizations, according to the determinations of the North Atlantic Council. During the last two years, NRDC-ITA has been engaged in a fundamental transformation to ensure that it has policies, capabilities, and structures required, to deal with current and future challenges, according to the new NATO’s Level of ambition. After Exercises Eagle Blade 14 and Eagle Joker 14 that paved the way for the national validation, the forthcoming Trident Jaguar 14 will be the final NATO Certification test for NRDC-ITA to gain the Full Operational Capability as a Joint Task Force HQ in Land Heavy Operations, with Joint C2 capabilities at operational level. Exercise Trident Jaguar 15 is the last step for the validation of the NATO Rapid Deployable Corps Italy as Joint Task Force Headquarters, where its capability of planning and conducting a Small Joint Operation-Land heavy under the direct command of SACEUR will be assessed and then certified. This exercise envisages the intervention in support of a failing state, with high intensity war-fighting and CBRN threats from the early stages. NRDC-ITA will be evaluated together with the Allied RapidReaction Corps in such a high intensity and complex environment, where the military and civilian aspects of an asymmetric conflict will constitute a hard proving ground for both the HQs. Although an exercise with two primary training audiences represents a significant challenge for the training community, this has been proved the most effective way to test two organizations on the same requirements. While Trident Jaguar 15 is coming to an end in Norway, involving around 1,100 NRDC-ITA personnel inside the NATO Joint Warfare Centre in Stavanger, General Riccardo Marchiò, COM NRDC-ITA, is more than satisfied about what have been achieved so far. This comes as no surprise. The JWC commander himself, General Reinhard Wolski, declared his satisfaction right in the middle of the exercise less than a week before: "NRDC-ITA is performing very well, they are very well prepared and I can affirm that they are the best training audience I've ever had", Gen Wolski said on 23rd of April. This is a very significant point, since NRDC-ITA is paving the way for a new series of NATO exercises, which indicates the new NATO approach towards new international challenges from the instability of the Southern flank to the Ukraine crisis. 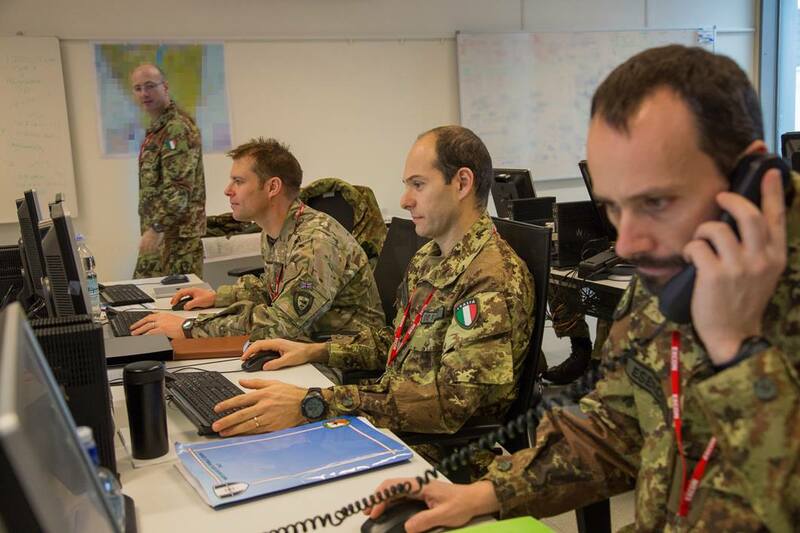 NRDC-ITA is getting the Nato validation from this exercise, which confirms the Italian HQ has completed its transformation into a Joint Take Force HQ (JTFHQ). 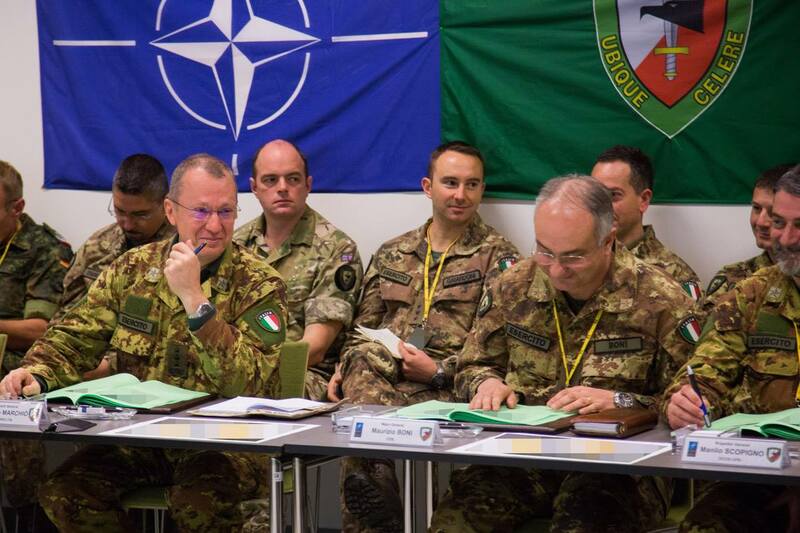 "Two were the aims of this exercise", said gen Marchiò, "testing the deployment capability was the first, and it has been accomplished, and secondly, getting the Nato validation as a joint operational command, testifying the change". Both the goals have been achieved succesfully. Furthermore, an important element arose from commander's analysis, which is the possibility to fix all elements needing improvement: "Trident Jaguar 15 represented a useful laboratory in which fully testing NRDC-ITA, and we will fix whatever needs to be improved straight after this exercise so to achieve the total quality as a final result". Exercise TRIDENT JAGUAR 2015 took off on thursday, April 15 at the NATO Joint Warfare Center in Stavanger, Norway. 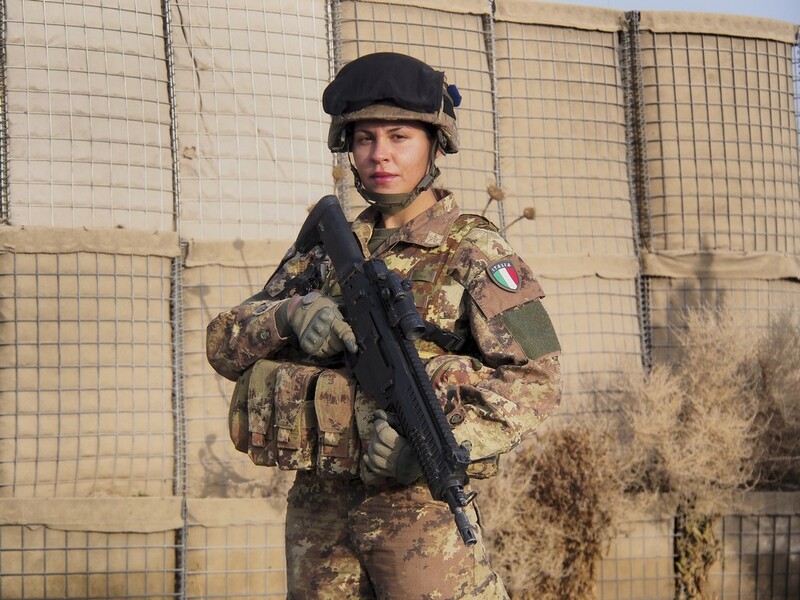 The NATO Rapid Deployable Corps Italy (NRDC-ITA) will be involved in a 13-day training simulation that will enable the Italy led Command to obtain the NATO validation for its reconfiguration as a Joint Task Force Command Headquarters. NRDC-ITA staff will be dealing with a crisis management scenario in a complex environment involving military and non -military actors. NATO’s High Readiness Force Headquarters, NRDC-Italy is taking part in the land-heavy crisis response Small Joint Operation (SJO) exercise, TRIDENT JAGUAR 15 (TRJR 15) at NATO’s Joint Warfare Centre in Stavanger. During the exercise, NATO Rapid Deployable Corps-Italy (NRDC-Italy) will be evaluated as a Joint Task Force (JTF) HQ, able to provide an immediate military response in reaction to the traditional and asymmetrical threats associated with a fictional failing state in northern Europe as part of the SKOLKAN 2.0 training scenario. 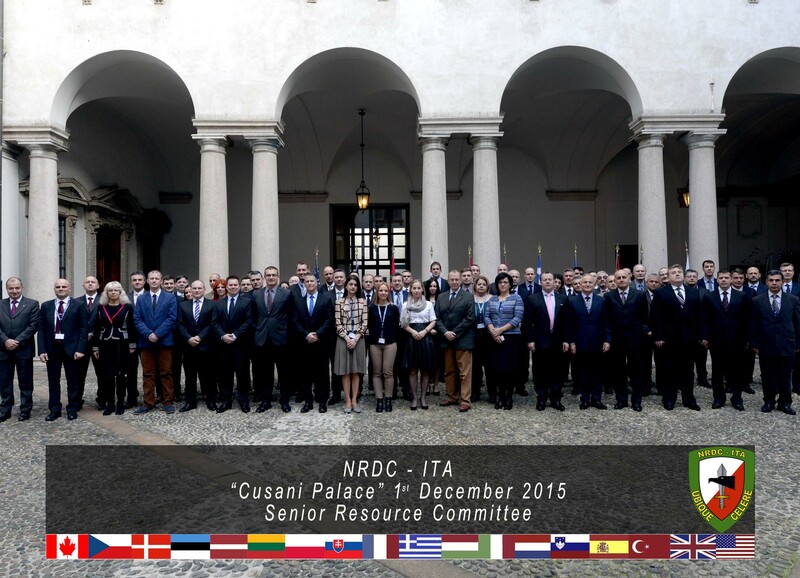 Lieutenant General Marchiò, Commander NRDC-Italy said: "TRJR 15 represents the outcome of more than three years of commitment of the 12 contributing nations of NRDC-Italy. This effort will allow our HQ to comply with the NATO Level of Ambition and will test our readiness to deploy worldwide in response of any crisis under the NATO umbrella." As part of the build up to Exercise TRIDENT JAGUAR 15, staff at NRDC-ITA undertook Battle Staff Training (BST) during the period from 16-24 march. BST provided the opportunity for staff to rehearse the Core Planning Process and to produce a Joint Coordination Order in preparation for the execution phase of the exercise in JWC Stavager next month. 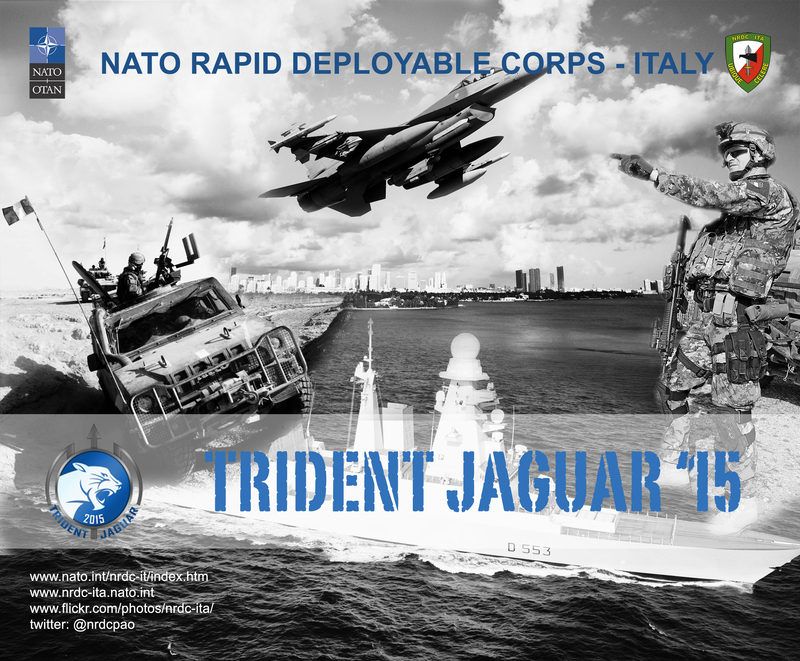 At the beginning of January 2015 NRDC-ITA deployed its Operational Liaison Reconnaissance Team (OLRT) to take part to the first stage of exercise Trident Jaguar '15. During its stay at the Joint Warfare Center, NRDC-ITA personnel managed to support the Crises Responce Planning phase coordinating with the Joint Planning activities ongoing at the HQ. This was the begginning of the final step which will conduct the Italian led HQ to achieve the final certification as capable to conduct a Joint operation. With the NRDC-ITA presence, JWC started 2015 with a busy schedule, being involved in a myriad of training and planning events aimed at providing an excellent preparation and coordination effort for this year’s upcoming operational-level exercises as a whole like: TRIDENT JEWEL 15, TRIDENT JAGUAR 15 and TRIDENT JUNCTURE 15. TRJR 15 is an Allied Command Transformation (ACT) sponsored command-post/computer-assisted exercise. It will certify both ARRC and NRDC-Italy in a Joint Task Force (JTF) HQ role, planning and conducting a land-heavy Crisis Response Small Joint Operation, involving war-fighting capabilities in the early stages.The Main Events List/Main Incidents List (MEL/MIL) Incident Development and Scripting Workshops for exercise TRIDENT JAGUAR 15 (TRJR 15) started on 24 February at Joint Warfare Centre (JWC) with participation from Allied Rapid Reaction Corps (ARRC), NATO Rapid Deployable Corps – Italy (NRDC-ITA) and NATO Special Operations Headquarters (NSHQ). “We are working with two well-regarded commands that are keen to demonstrate the capabilities that NATO Force Structure and their contributing Nations provide to the Alliance. JWC is eager to provide an exercise platform that displays their expertise as a Joint headquarters operating a non-Article 5 crisis environment,” said TRJR 15 Chief MEL/MIL. TORRE VENERI (LE), OCTOBER 17 - Exercise JOINT EAGLE 2014, an International exercise involving approximately 2.000 troops conducted in Lecce and Ferrara. The exercise trained two commands; NATO Rapid Deployable Corps-Italy (NRDC-ITA) and the Joint Force Air Component (JFAC). Land, Air, Maritime, Special Forces and Logistic troops were involved for two weeks in the training organized by the Command Operational Interagency (COI). 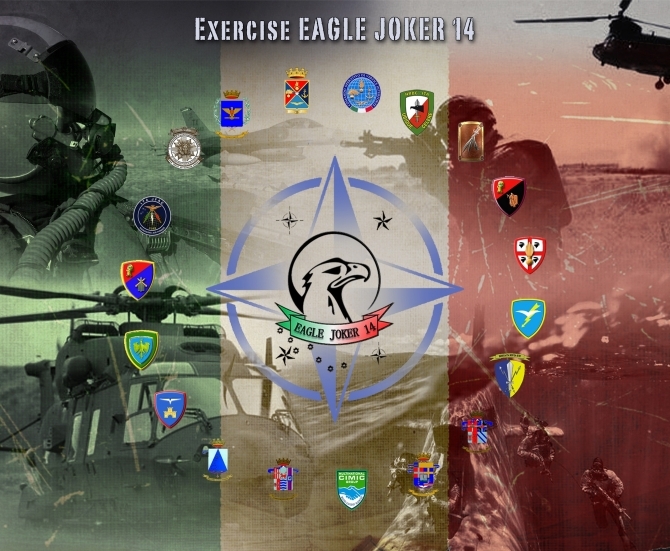 Exercise JOINT EAGLE was the result of the integration of two separate exercises: Ex EAGLE JOKER 14 for NRDC-ITA and Ex VIRTUAL FLAG 14 for JFAC. The activity was attended by representatives of 15 countries of the Alliance and demonstrated the Italian commitment to adopt the NATO force structure. The force structure requires a command and control capable of operating with the various armed forces of the Allied countries and conforms to the Connected Force Initiative (CFI). This aims at maintaining the opportunity to train with the same resources. "We do not intend to give up our operational capability even in a situation where we must pay due attention to financial resources", highlighted the Chief of Defence. At the end of a long and complex process of planning, we turn now to the execution of the Ex Eagle Joker 14, with the departure of vehicles and containers of various types for the port of embarkation from which to reach Brindisi, ending their journey in the training area of Torre Veneri (LE), where will be conduct the NATO exercise. In everything will be used 210/2, 165 containers, 2 naval carriers, air carriers 3 and 2 rail carriers. Between 23 September and 31 October, in fact, more than 1.500 soldiers of the 15 Nations which contribute to forming the Rapid Reaction Corps in Italy will be engaged in this important stage of the process that will allow the NRDC-ITA meet the requirements of the Forces of the new structure of the Atlantic Alliance. The exercise, scheduled since long time, in fact, part of the transformation program announced by NATO at the summit in Lisbon in October 2010. Exercise Eagle Joker 14, involving numerous Institutions, Commands and Units of the Armed Forces, is designed to verify the ability of NRDC-ITA independently manage naval and air forces in operations, to effectively interact with the not military actors not present into crisis areas and to develop and apply concepts introduced recently, such as the Cyber â€‹â€‹Defence, defense against cyber threats. Only three of the nine commands Rapid Reaction Corps in Europe were chosen at the time for this evolution, which - when completed - will allow the NRDC-ITA to confirm a key resource for the Country and, as Headquarters projection capabilities Interagency Command and Control, for the Atlantic Alliance. - EXERCISE EAGLE BLADE to be conducted in two discrete timeframes: the first one at the end of second semester 2013, the second one in the first semester of 2014. The 2013 relevant bit of the EX was a self-generated DEPLOYEX aimed at testing the NRDC-ITA HQ capability to deploy on the field his C2 structure. The Support Brigade was massively involved in the exercise while NRDC-ITA selected staff was tasked to deliver it and activate the EXCON during the EX active phase. - a series of studies/analysis conducted by REAR SUPPORT COMMAND in order to pave the way to the future JOINT LOGISTIC SUPPORT GROUP HQ CSE transformation process, both in terms of functional areas and individual educational training requirements. HQ priorities for 2012 were to set the conditions for a successful deployment to Afghanistan while, at the same time, the HQ was to focus on the other key objective to develop the JOINT TASK FORCE HQ capability and establish a JOINT LOGISTIC SUPPORT GROUP HQ Communications Support Element (CSE) by the end of 2014. 3. In Theatre Training (ITT). In addition, over the year, the opportunity of training with other NATO HQ and participate in other NATO training was the opportunity to enlarge HQ perspective and contribute to our professional development. The exchange of personnel with other Services improved capabilities in Joint Operations and the Comprehensive Approach was taken into account. In the second semester of 2011, after the NRF stand-by period, NRDC-ITA HQ turned its structure from Land Component Command (LCC) to Corps: to this aim, Exercise Eagle Roster 11 was planned. this to train and validate HQ NRDC – ITA in the planning, refinement and execution of Corps shaping and decisive operations in a complex, hybrid environment. Such activity sought the efforts by both Italian and NATO Contributing Nations sides, which provided expertise, augmentees and support from Military and Civil environment. NATO Rapid Deployable Corps in Italy (NRDC-ITA), from 12th to 13th of July 2011 hosted “Eagle Mercury 2011”, a planned activity within the training cycle of the HQ for the year 2011, focused on issues related to Cyber Security and Command and Control Systems. Subject Matter Experts from NRDC-ITA, Italian Army General Staff and NATO Agencies took part to the meeting together with qualified personnel coming from some international informatics industries such as Microsoft, Thales, Selex and Cisco. 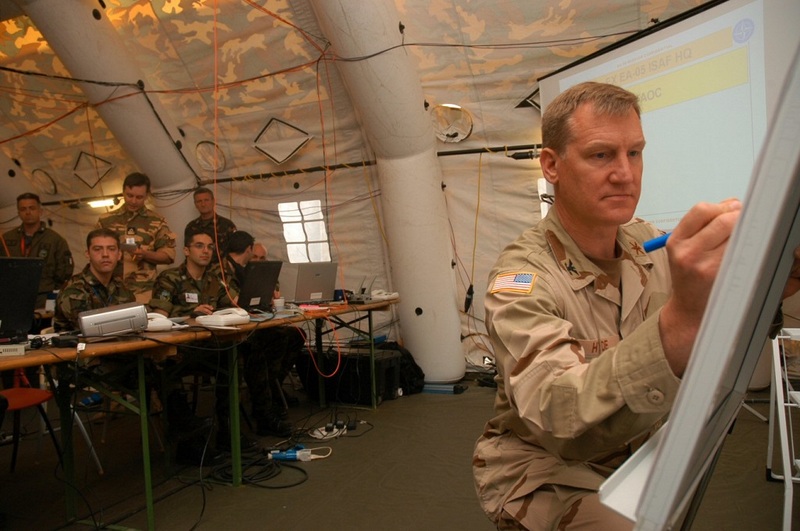 The culmination of the 2010 training year saw NRDC-ITA participate in Ex STEADFAST JUNO 10, a demanding command post exercise involving a number of the NATO headquarters around Europe. Preparations for the exercise began in late November 2010 when the NRDC-ITA Support Brigade began establishing the NRDC-ITA Command Post within Ugo Mara Barracks, Sobiate Olona. 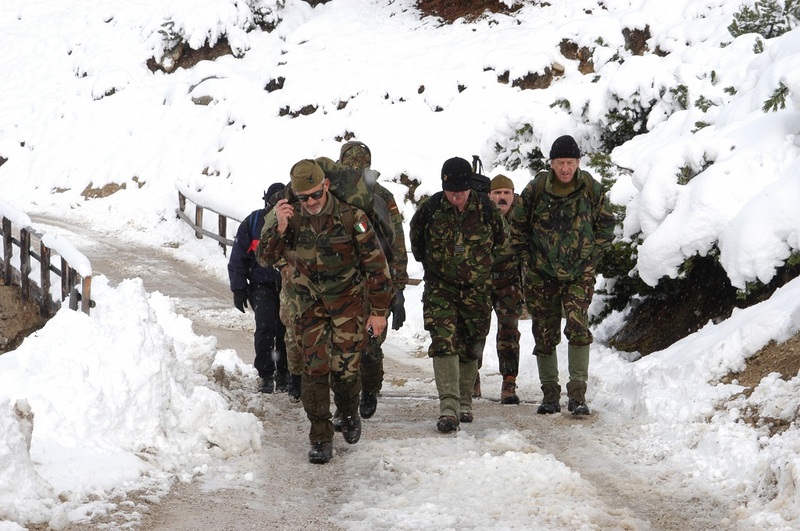 The main exercise was conducted over the period 6-15 December 2010. During the exercise NRDC-ITA acted as the Land Component Command (LCC) under the command of Joint Force Command (JFC) Naples which provided the JFC with the opportunity to test their command and control functions in a contemporary operational setting. The exercise also provided NRDC-ITA with a final opportunity to practice their procedures before assuming command of the Nation Reaction Force (NRF) commitment in January 2011. 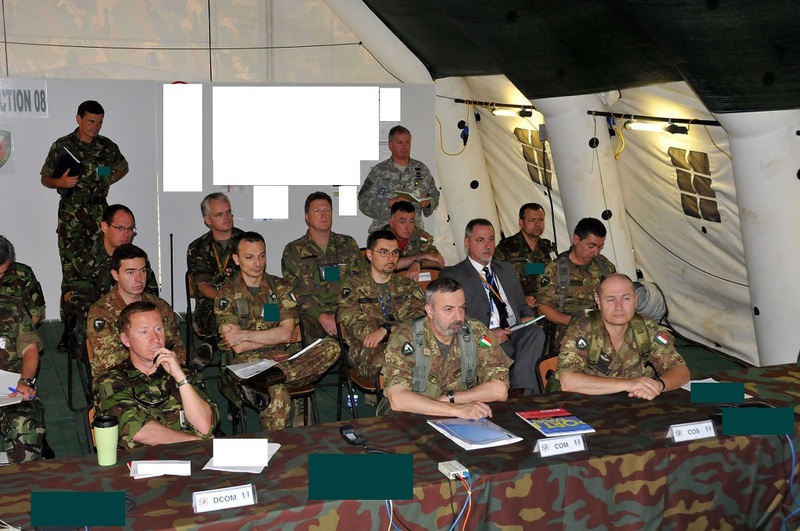 General Gian Marco Chiarini, Commander NRDC-Italy, was positive about the outcomes of the Headquarters’ training: The exercise scenario saw the NATO forces simulating an operation designed to aid humanitarian relief in a fictional, under-developed nation. A host of challenges faced the Headquarters including the provision of security, disaster response, security sector reform and liaison and co-operation with international and non-governmental organizations. In preparation for the forthcoming NATO High Readiness Force commitment HQ NRDC-ITA have recently completed Ex NOBLE LIGHT 2010. The exercise was conducted in Bellinzago Novarese over the period 4-15 October 2010 and followed on from the successful Ex EAGLE METOER conducted in Torre Veneri (Lecce). General Gian Marco Chiarini, Commander NRDC-Italy, described the successful exercise: “With Ex NOBLE LIGHT we have had the opportunity to test the command and control capabilities of NRDC-ITA in a crisis scenario. It has been a unique opportunity to test our operational and logistic procedures in preparation for the NRF responsibility.” The two week exercise tested NRDC-ITA’s ability to conduct operations in response to an unexpected crisis and saw the Headquarters dealing with a range of problems across the military, political, economic and social spectrums. In meeting this challenging scenario, designed to replicate the complex contemporary environment, the Headquarters planned the use of a wide variety of military capabilities including electronic warfare, special forces and CIMIC units. 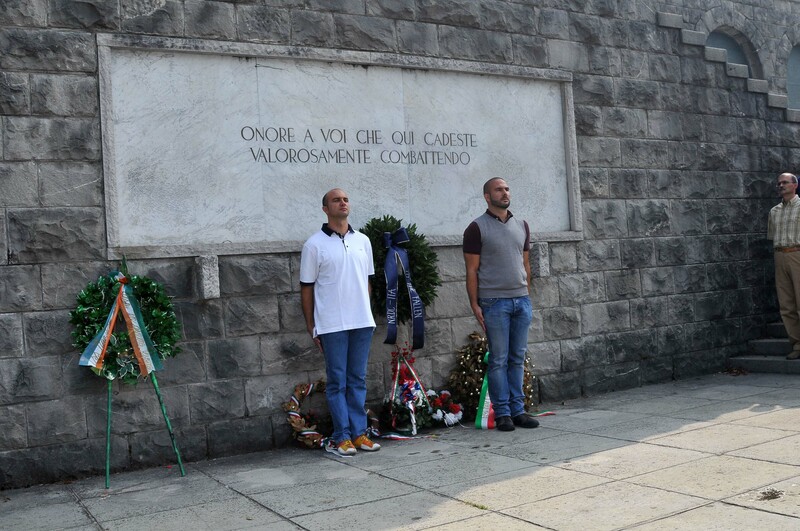 Particpating in the exercise were over 1000 soldiers from the 15 nationalities represented at NRDC-Italy. 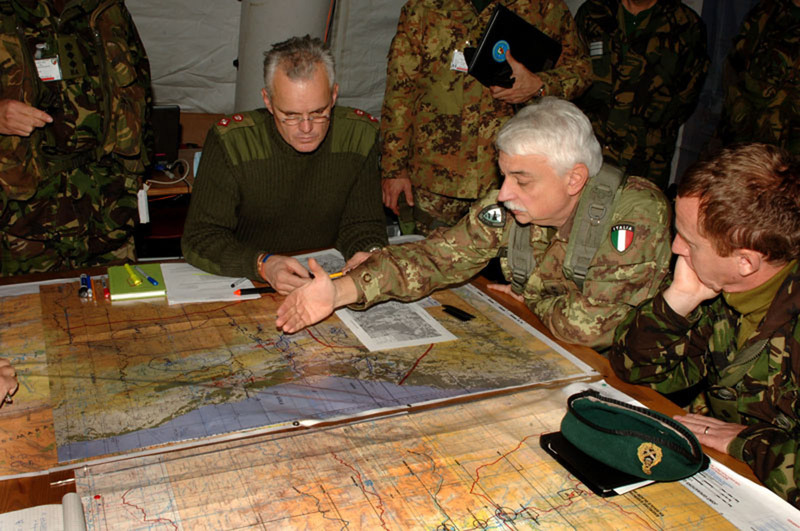 “EAGLE EYE 2010”, a geo-strategic studies seminary, was held at the “U.MARA” barracks in Solbiate Olona, Italy, the headquarters of the NATO Rapid Deployable Corps Italy (NRDC-ITA), commanded by General Gian Marco CHIARINI. Distinguished speakers delivered lectures dealing with topics related to NATO’s role in the modern world and various possible geo-political scenarios. The presence of NATO’s Deputy General Secretary, Ambassador Claudio BISOGNIERO, one of the Alliance’s most senior figures, demonstrated the importance of the event. Ambassador BISOGNIERO opened the meeting, by highlighting the possible causes of future conflicts and the likely challenges the Alliance may have to face over the next decade and beyond. There then followed a series of lectures delivered by: Professor Massimo DE LEONARDIS, Politic Science Department‘s Director to “SACRO CUORE” University in Milan, General Carlo CABIGIOSU, the first Italian officer to take command of a NATO led multinational military force (Kosovo Force, KFOR) and Professor Andrea MARGELLETTI, president of the International Studies Center (Ce.S.I.). All lectures concerned the new role of NATO in the current geo-political environment, and on how military training must evolve and the importance of strategic communications in current asymmetric conflicts. Exercise “Steadfast Juno 2010”, (December), the final training activity during which NATO will validate all components that constitute the NATO Response Force. Also planned, are many specific activities for personnel across the various operational areas of the HQ NRDC-ITA. These activities include the improvement of the individual training to the execution of specific seminaries and specific task orientated training courses. The Exercise is one of the annual training activities to keep NRDC-ITA at a high level of readiness. The Corps, in fact, can be deployed with a maximum of 30 days notice to move to every crisis area in the world. About 1,000 troops took part to the exercise, amongst them 50 from the 14 non Italian NATO contingents that join the NRDC-ITA. The “Eagle Blade 2009” has being prepared for some months, when every participant personnel have been inducted on the operational situation of the exercise.Cameri (Italy), 4th December 2009 - NRDC-ITA has just concluded the Exercise “Eagle Blade 2009”, held in Cameri military airbase (Italy) from the 26th November to the 4th December 2009. 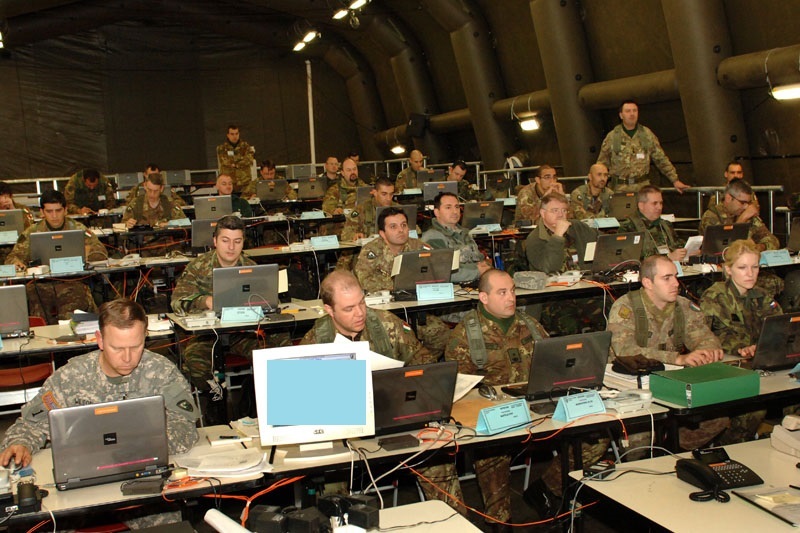 The aim of the Computer Assisted Exercise (CAX) “Eagle Blade 2009” was to train the staff personnel for the operational planning process within a NATO-led operation into a crisis area. The integration between the NRDC-ITA field structures and the Italian Air Force facilities has been successful, and permitted to focus on the training-operational activities. NRDC-ITA efficiently reacted to difficult fighting situations (kinetic operations), where the coordination of the staff has developed an effective and fluid chain of command and control. The “Eagle Blade 2009” can be considered the road to the new NRDC-ITA commitment for 2010. The Corps, in fact, will be in charge of the NATO Response Force (NRF), which will be operational in 2011. “The exercise has tested NRDC-ITA capability to successfully react to an unexpected crisis” – General Chiarini declared – “the positive outcomes received both by the visitors and the evaluation team demonstrated that NRDC-ITA is a Corps which NATO can rely on”. Personnel from the Headquarters were able to visit the battlefields and see the train over which the fighting occurred. The aim of the tour was to allow staff to learn lessons from the campaign and to put the problems faced by soldiers of the First World War into a contemporary environment. Two military historians from Hungary and Italy gave personnel the historical background to the campaign which set the scene and engendered useful discussions on the tactics employed at both the tactical and operational levels.The HQ NRDC-ITA Battlefield Tour, Exercise EAGLE TOUR was conducted in the Julian Alps (Slovenia and Northern Italy). The exercise saw forty members of the Headquarters, led by the Command Group deploy to the scene of some of the heaviest fighting of the First World War. The fighting that occurred on the Italian, Austro Hungarian front was brutal both in terms of hardship and casualties. The tour covered the fighting in and around Vittorio Veneto, Plezzo, Tolmino, Monte Santo and Caporetto. Personnel were able to visit trenches that have not changed in the past ninety years. The overriding impression was one of the hardships faced by both sides due to the terrain, climate and paucity of equipment. The campaign was characterised by horrific losses and the staff were able to pay their respects at the cemeteries and monuments that provided a stark reminder of the human suffering of those who fought there. To stand on the ground where so much blood was spilt and to identify the problems that a previous generation of soldiers had had to face was not only intellectually stimulating but sobering when confronted with the staggering losses that were indicative of this little known campaign. The past ten days have seen a change to the normal calm of SOLBIATE OLONA, the home of the NATO Rapid Deployable Corps Italy. 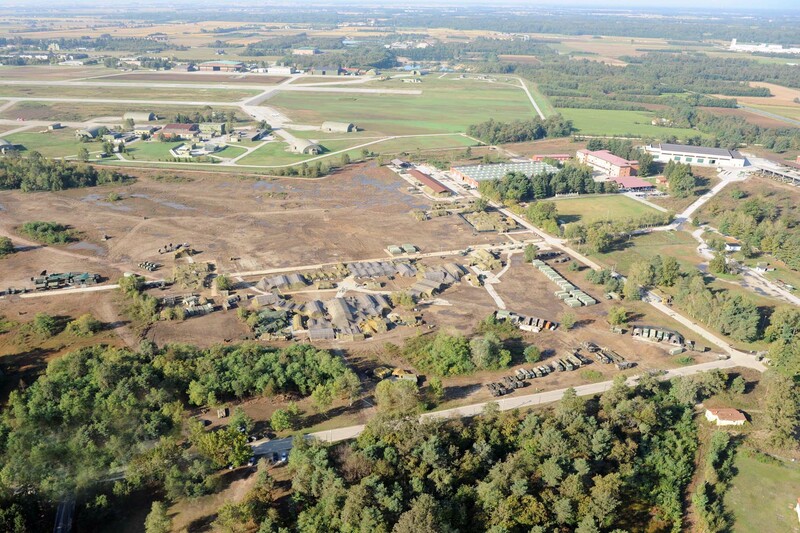 The barracks and training area became the location for an exercise for a deployed Corps Headquarters and all associated support elements. The sheer scale of Exercise EAGLE ACTION was impressive and served to demonstrate the capability of the NRDC-ITA in field conditions. The exercise followed on from Exercise EAGLE RECCE conducted earlier in the year when the Recce Group, Early Entry team and Rear Support Command were exercised using a similar scenario.The scenario was loosely based on current NATO deployments in Afghanistan. For some the scenario brought back memories of ISAF VIII when the headquarters deployed to Afghanistan as HQ ISAF. 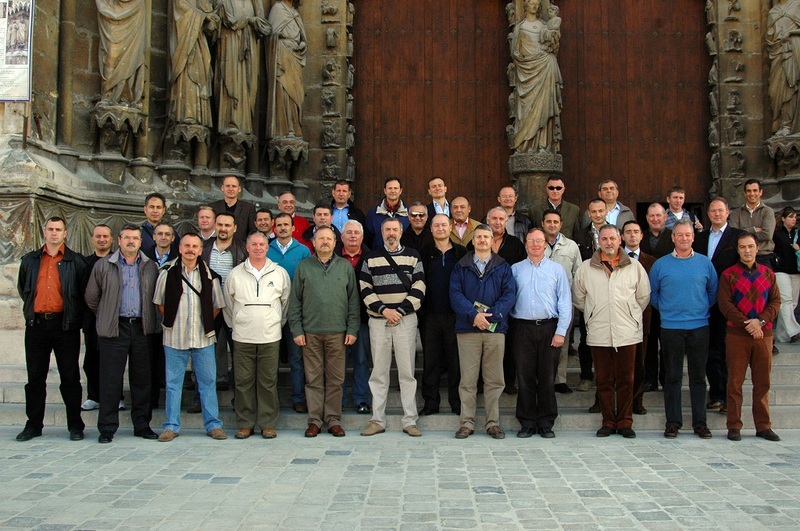 For 180 members of the headquarters the exercise served to focus their minds for their upcoming deployment in 2009. The Headquarters was fortunate enough to be able to call on the assistance of a number of external agencies which allowed for a more realistic and effective exercise structure. 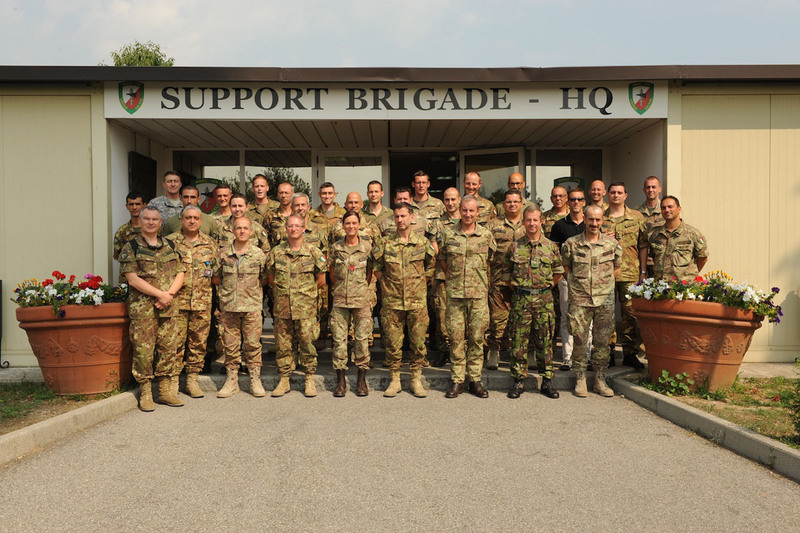 The Italian General Staff, Italian Staff College and personnel from the ARRC all made invaluable contributions and without their efforts the exercise would not have been possible. Additional support at HICON and LOCON made for a realistic and demanding exercise for all members of the headquarters, EXCON and the Support Brigade. All Divisions within the headquarters were tested and put under pressure in order to ascertain their effectiveness on operations. A number of lessons were learnt and the evaluation team was crucial to the identification of areas where the headquarters’ collective performance must be enhanced. The additional training support from Crown Media, under the control of EXCON gave further depth to the training and allowed members of the headquarters to be exposed to another dimension of the Contemporary Operating Environment - the media. The tempo and complexity of the scenario served to highlight to all concerned, how important a joined up and rehearsed headquarters must be to achieve an effective and robust battle rhythm. The headquarters was very successful in achieving its mission and learned a great deal about the challenges that will be experienced for real, all too soon. Eagle Tour ’07, the yearly (NRDC-ITA) battlefield tour (BT), took place in France and Belgium, throughout the Ardennes region, in the area of Fermont, Villy la Fertè, Sedan, Monthermè, Dinant, Stonne and Noyers Pont Maugis. The BT, the only one planned for 2007, lasted 6 days (travel included), from 1st to the 6th of October, a Monday to Saturday tour organised by the Engineer Branch, as by tradition in HQ NRDC-ITA. The training audience was composed of 49 officers, both senior and junior from the NRDC-ITA Staff, including the organization staff. to take advantage from relevance and lessons of military history for operations today; to take into account the impact of technology on the conduct of war. Word War II was the largest and most violent armed conflict in the history of mankind. Highly relevant today, WW II has much to teach us, not only about the profession of arms, but also about the military preparedness, global strategy and combined operations in the coalition war against Nazism. The battlefields today are largely similar to what they were 67 years ago. Apart from the fact that new roads have replaced some of the old ones, the countryside of Ardennes has changed hardly since the battle took place. It remains an attractive tourist and farming area, visited regularly by veterans of both sides (although very few now), and military students, either alone or in organised tours, such as ours. The NRDC-ITA group left Solbiate Olona on Monday October 1st (Day 1) and reached Paris by plane and from there Sedan by coach, the most appropriate means of transportation for the entire battlefield tour. The charming city of Sedan was our base during our staying in the region. It was where our hotel was located. “Le Chateau Fort” was built in the 15th century. The Castle of Sedan is the biggest castle of Europe (35.000 m2). With its strategic position on France's eastern border, it was continuously enlarged, strengthened and modernised by the powerful La Marck family, Dukes of Bouillon and Sovereign Princes of Sedan. Truly, while landscapes are close to the ones in 1940, we only found a few traces of the fortifications, as they have been largely replaced by renewed countryside and urban infrastructure. Moreover, it is understandable that little memories of the battles still remain and, as a matter of fact, we did see many monuments and WW II-related topology as we did three years before in Normandy. On Day 2 we visited the “Maginot Line” Museum in Fermont (a 2 hour guided visit) and the Northern edge of the defensive line in Villy La Fertè. The Maginot Line, named after French minister of defence André Maginot, was a line of concrete fortifications, tank obstacles, artillery casemates and machine gun posts and other defences which France constructed along its borders with Germany and with Italy, in the light of experience from World War I, and in the run-up to World War II. The French established the fortification to provide time for their army to mobilize in the event of attack, and/or entice Germany to attack neutral Belgium to avoid a direct assault on the line. The success of static, defensive combat in World War I was a key influence on French thinking. The fortification system successfully dissuaded a direct attack, but as it had been drummed up as making France invincible, the following defeat made it look like a failure. In the afternoon the historian Dr. David Hall illustrated the Allied Plan for the defence of France and the Low Countries, with a particular focus on the Maginot Line, as the French had believed that with those constructions along their north-eastern frontier, the Germans would be encouraged to divert their main attack through Belgium, and thus attempt a repeat of their 1914 Schlieffen Plan. Particular attention was given to the tough battle that was fought to conquer the strong position when the Germans claimed to use gas to disrupt the French defence. The employment of air force in support of tactical level operations was key to successs for German Forces. What are the main considerations in terms of effectiveness in comparing the coordination measures used by German Forces with the current systems/procedures? (Syndicate 3). Day 3 started with a lecture by our historian in Monthermè where XLI Corps crossed the Meuse with comments on the battle and bridgehead. Later on, the group moved to Bouvignes in order to identify the position where Rommel crossed the Meuse in one of the most admirable battle actions of the Blitzkrieg Campaign. After a short stop in Dinant for lunch, a third lecture in the hotel on “C2, Generalship, Strategic bombing and Weapon of Mass Destructions (gas)” followed. Day 4 started with a visit to Stonne with chronology of the bridgehead battle between 3 French Armd Division and the 10th Panzer Division. There, the French light tanks H-39 opposed a very strong defence counterattacking the German troops till they found out how to disrupt this efficient vehicle that gave a big contribution to make those French troops fallen in the battle eligible for an everlasting honour. At midday, we moved to Orval Abbey for a 1 hour guided visit and then we departed to Noyers Pont Maugis where a visit to the French and German Cemetery took place. A small wreath ceremony was organized on site in order to honour the fallen of both sides. The cemeteries are on the Mafèe Heights, where the French artillery was located, overlooking the river Meuse crossing points used by the 10th Panzer Division led by General Guderian. The historian, Dr. Hill, commented on the battle action where GUDERIAN crossed the Meuse at 15.00 hrs on the 13th of May 1940. In the hotel the forth and final lecture on “outcome and aftermath” was held by Dr. Hill preceding the 3 syndicates’ work presentations. Finally, on Saturday (Day 6) the battlefield tour ended with the group returning to Ugo Mara Barracks, a bit tired, but having gained a lot out of the Exercise Eagle Trek 07. 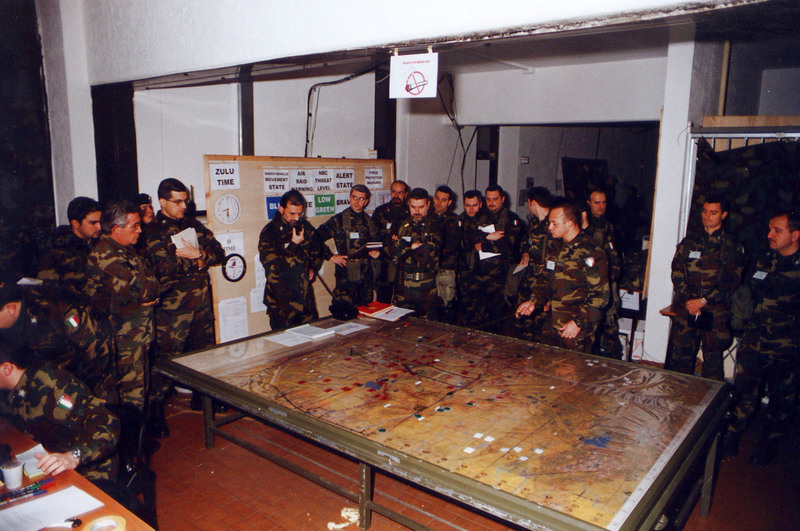 In fact, HQ NRDC-ITA had a unique chance to review the setting of the “Blitzkrieg Campaign”, “modern” war-fighting battles which for the first time hit the scene and now offer lessons to be learned, to all the functional branches. 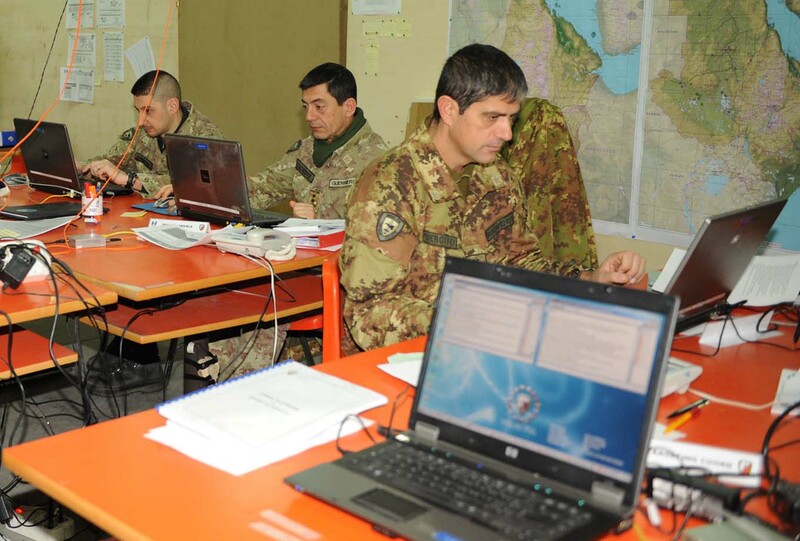 HQ NRDC-ITA today completed Exercise EAGLE NEST 3. This Command Post Exercise was designed to integrate recent newcomers to the Headquarters into the operational staff processes. It was also an opportunity to maintain the Headquarters’ and Support Brigade’s capabilities as they enter the last half of their six-month rotation as the Land Component Command element of the NATO Response Force. The exercise, which was based upon the scenario created for pre-NRF training, confronted the staff with a challenging array tasks as it deployed its troops to a fictitious island that is experiencing civil disorder and a humanitarian crisis. The mission was to restore safety and security in the region in order to allow the United Nations to conduct humanitarian operations unhindered. 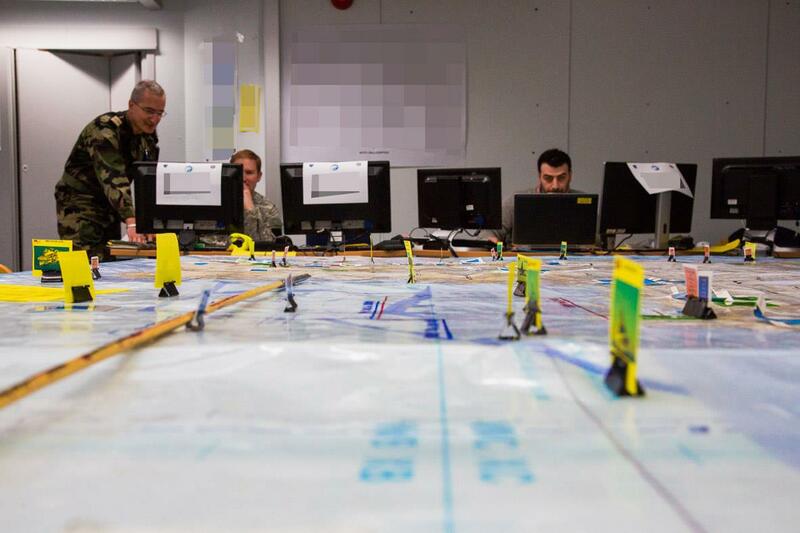 Whilst the exercise controllers threw every conceivable problem at the staff, the latter was able to provide for the restoration of security and support to the civil population through careful planning, operational expertise and thorough liaison. Representatives of NRDC-ITA HQ attended exercise EAGLE TREK 2007 from 24th September to 1st October 2007, whose aim was first to familiarize the participants with the mountain environment, and second to implement a team building aspect. The participants were hosted in a former mountain artillery regiment barracks in Dobbiaco, which is a small, pleasant village in the middle of Pusteria valley (Bolzano). The location was chosen very cleverly, since the area is full of different tracks with a large diversity in terms of length and difficulty. This clever decision allowed the organizers, whose chief and project officer was LTC Pietro CAPORELLO, to adapt the programme to the adverse weather conditions the group was forced to face, by reshaping the program in due time and with proper alternatives. The group, despite the whether conditions, performed 5 trekking activities and was able to carry out 2 ascents of a pretty fair significance, of which, the last one led the group to a peak of almost 3,000 meters above the sea level on a cloudy and snowy day. This was possible, first of all because the walks and ascents strictly followed progressive criteria, imposed by the experience and soundness of an “old” alpino such as CAPORELLO. Secondly, but perhaps even more importantly, we have to thank for such a success the high professionalism and mountain experience of the guides leading each team. No doubt, without their help the successful ascent of the last day wouldn’t have taken place. That’s why it’s hereby suitable, as a deserved award, to mention them as follows: Mllo BENVENUTO, Mllo CORNO, Mllo DIONISIO Magg and, the already mentioned, LTC CAPORELLO. Another aspect that gave an added value to that experience is the historical one. In fact, the group enjoyed its treks in an amazing environment not only under the point of view of the natural beauty, but also due to the discovery of places which were theatre of heavy fighting between Italians and Austrians during the WWI. In particular, the ascent of Monte Piano was of particular importance under this last point of view, where the real trenches can be visited and walked on, and the visit to the museum located at Valparola pass was of high interest for those who like the history of that period. In conclusion, Eagle Trek has been a military and demanding exercise, but with an amount of satisfaction in return that surely fascinated all the participants far beyond their expectations. The NATO Rapid Deployable Corps-Italy (NRDC-IT), based in Milan and Solbiate Olona (Varese), took part in Exercise “Steadfast Jackpot ‘07”. 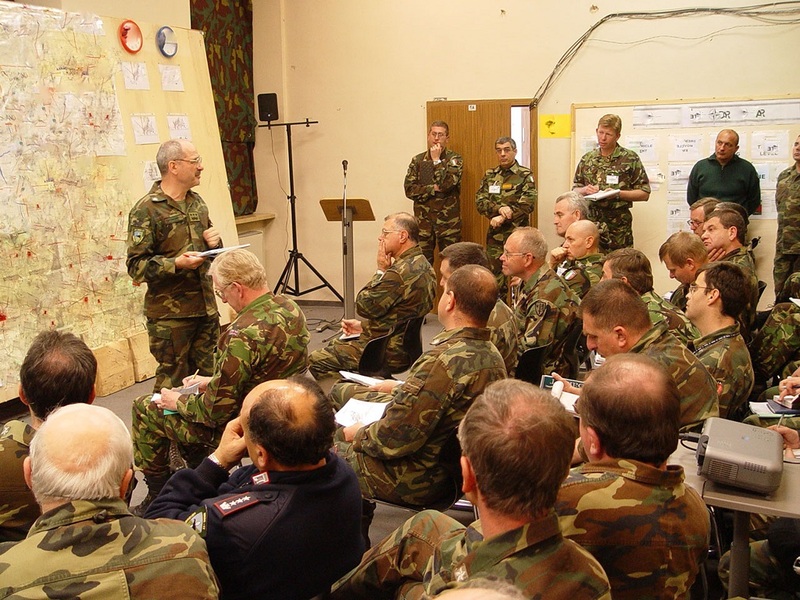 This exercise was the final part of its preparation before taking over as the Land Component Command of the NATO Response Force (NRF) during the second half of 2007. “Steadfast Jackpot” was a command-post exercise designed to validate and certify the command and control elements of the forthcoming NRF rotation. All the command elements took part in the exercise; not just the Land Component Command, but also the Air and Maritime components, under overall control of the JOINT FORCE COMMAND NAPLES played an imporant role. As well as NRDC-IT’s deployment in Solbiate Olona, other elements were also exercising in Persano (Italy) and in locations in Norway, Spain and Turkey. 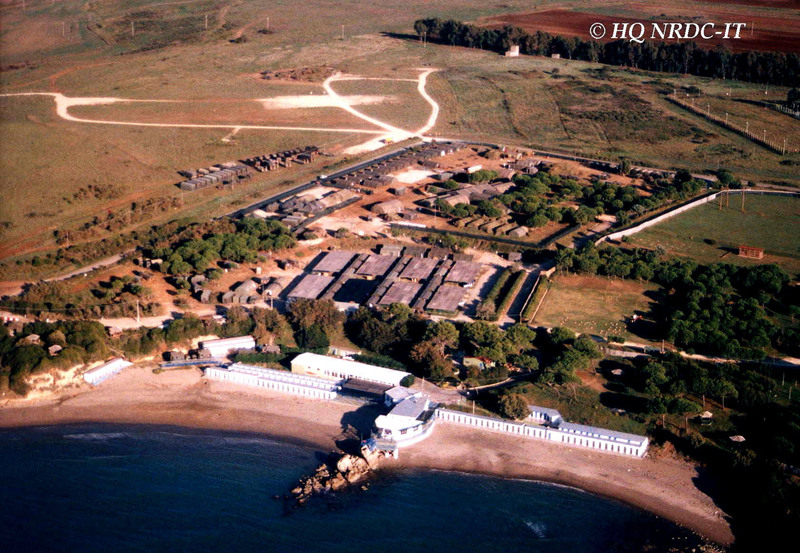 NRDC-IT is an italian led HQ, and involves personnel from 14 other Allied Nations. It frequently deploys on exercises in Italy and overseas, thereby honing its professional capabilities and the preparedness of its staff. It is qualified as a “high readiness headquarters” and is ready to deploy anywhere in the world with 30 days’ notice. Today sees the conclusion of Exercise Noble Light 07, which has witnessed the headquarters and assigned units training in Solbiate Olona, Bellinzago Novarese and Civitavecchia. The two-week exercise has seen the deployment of the headquarters in the configuration it will adopt as the Land Component Command (LCC) element of the NATO Response Force (NRF) from 1 July 2007 to 15 January 2008. This has been no small undertaking with around 2,100 personnel deployed. 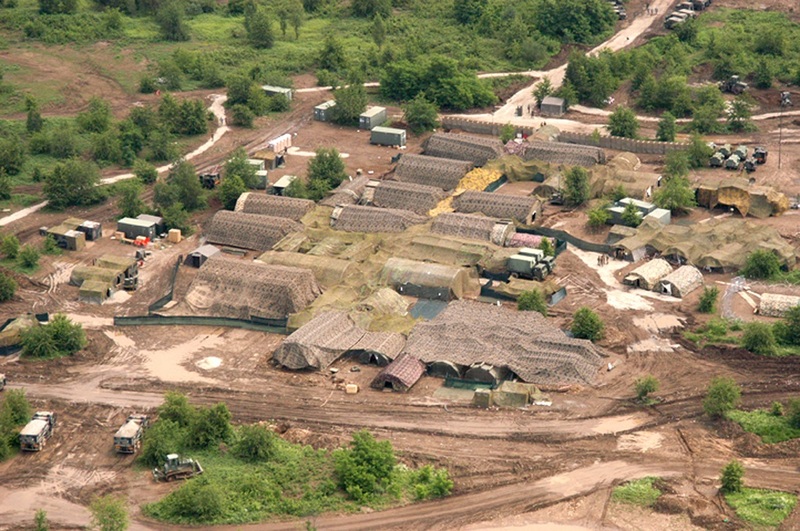 The largest concentration has been on the training area at Bellinzago Novarese where the headquarters itself, the Tactical and Logistic Support Regiment and 1st Signal Regiment from the Signal Brigade, along with Task Force ISTAR, a battalion-sized Italian intelligence unit, have been located. Also deployed here has been a detachment from CIMIC Group South, a NATO civil-military co-operation unit. Also involved in the exercise has been the multinational CBRN Battalion, which has been based in Civitavecchia.Ugo Mara Barracks, the home of NRDC-IT in Solbiate Olona, has hosted the exercise control elements, as well as the NATO Joint Logistic Support Group and the Friuli Brigade command post. The purpose of the exercise has been to validate NRDC-IT as the LCC for the forthcoming NRF rotation. This has covered the validation of the structure of the LCC headquarters and its capacity to operate in the joint environment, as well as verifying the internal and external command and control procedures. Only in this way can NRDC-IT guarantee its ability to deploy successfully if needed as part of the NRF commitment. It is worth underlining that this has been the first deployment of the Joint Logistic Support Group and as such, demonstrates the new joint logistic concept that addresses the NRF need for a dedicated and current logistic support. This new unit is able to guarantee the coordination of the logistic effort required by deployed formations.aving enjoyed a successful exercise this month, HQ NRDC-IT can look forward to the challenges of the final exercise before taking on the mantle of LCC for NRF 9. This takes place in June and sees NRDC-IT’s proven capability exercised in tandem with all the elements that will come together as NRF 9 from July 2007. HQ NRDC-IT shifts its focus to war fighting operations as Exercise EAGLE BLADE 06 gets underway. After several months of preparation of scenarios, plans and logistic resources, around 1,100 NRDC-IT personnel have deployed to the Civitavecchia training area near Rome. Under the command of Lieutenant General Del Vecchio, the exercise sets out to perfect the command and control aspects of war fighting and security and stabilization operations (SASO). This is no easy task. Before deployment, HQ staff have conducted the necessary campaign planning based upon the scenario of a regional conflict in a fictional country. All headquarters staff also attended a pre-deployment programme of seminars, lectures and briefings to fully prepare them for the operations they would meet during the exercise. Quite apart from the planning and build-up, the physical deployment itself involves approximately 800 logistic and communications specialists from the HQ’s support units. If that were not enough, the staff and the exercise control elements have also been augmented by personnel from both within Italy and from other NATO HQs such as LCC Madrid. In this way the total number involved approximates the HQ’s full crisis establishment of just under 800 officers and soldiers, as well as all the support personnel mentioned. According to Colonel Perretti of the Operations Branch, the exercise is “certainly challenging as it aims to test our new structures and our ability to conduct war fighting and SASO. 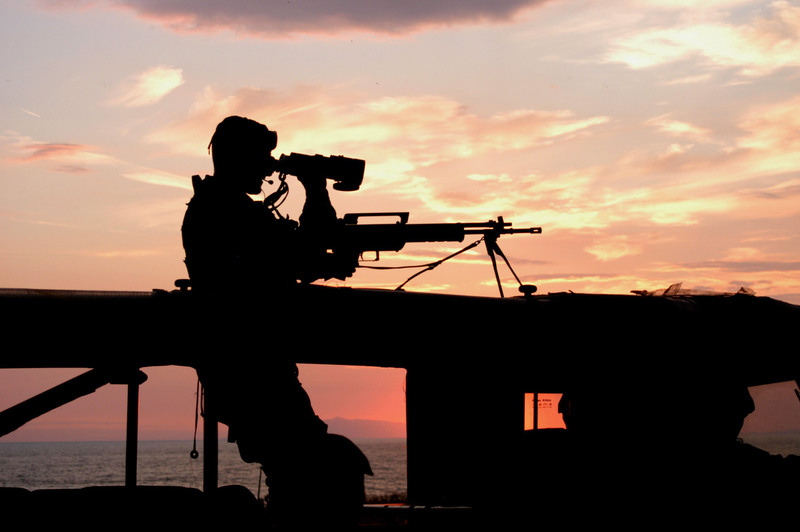 In particular we aim to demonstrate proficiency in operating against multiple, simultaneous opposing forces, including conventional and insurgent forces, and non-state and criminal threats. We will rise to this challenge however”. Rising to this challenge is particularly important as HQ NRDC-IT looks forward to its role as part of the NATO Response Force in 2007. Whatever the challenges on the exercise, the experience will certainly help refine and practice the skills necessary if called upon to respond next year. Stavanger, 24 June 2005. 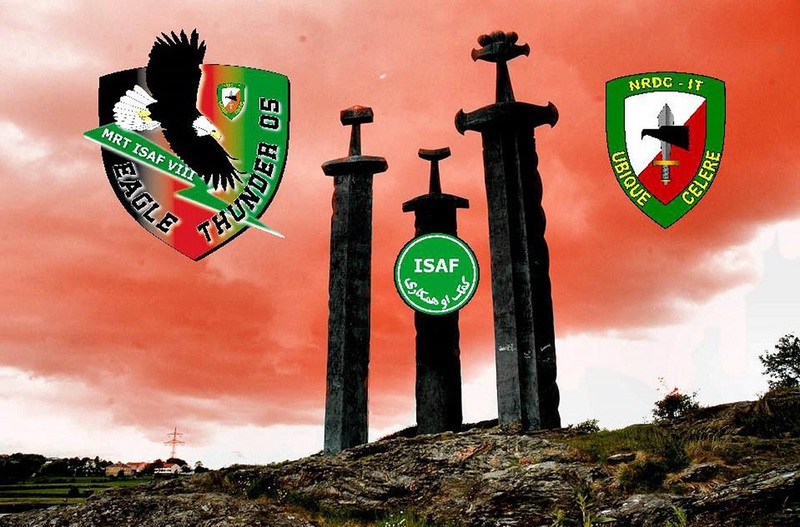 As a result of its 10-day Misssion Rehearsal Training at NATO’s Joint Warfare Centre (JWC) in Stavanger, Norway, HQ NRDC-IT has comfortably met the criteria required to assume command of NATO’s mission in Afghanistan and form the next International Security and Assistance Force in August. The Headquarters was given the green light by demonstrating, as a result of its own comprehensive training and preparation since January, that it can assimilate, coordinate and plan for the range of commitments, challenges and crises that the NATO mission and the country of Afghanistan currently face. The training period was designed by Joint Force Command Brunssum, the NATO operational Headquarters directing the Afghan mission, as part of the mandatory mission rehearsal training for Headquarters and personnel deploying to Kabul . The test also offered the first opportunity for the Staff to meet and operate with the 100 augmentees, officers and soldiers of all NATO countries, who will swell the ranks of the Kabul Headquarters and assist it throughout its 9-month deployment. The main focus of the exercise was the upcoming National Assembly and Provincial Council Elections, due to take place in September and the subject of extensive planning and coordination with the Government of Afghanistan and the United Nations Joint Election Management Body. 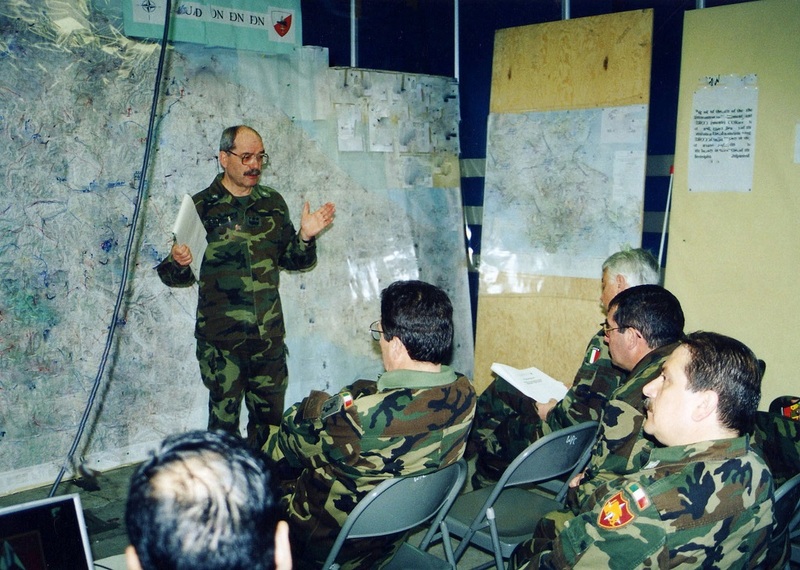 Alongside preparing for this milestone, the exercise events list ensured that at all staff levels the Headquarters was tested in the full range of its processes, from day-to-day force protection to planning for NATO’s expanding role in the country, from reacting to natural disasters to organizing routine press conferences. The reality of the exercise was considerably enhanced by the presence of “Observer-Trainer” staff currently manning ISAF Headquarters and a representation of personnel from organisations operating in theatre, including UNAMA , ICRC, and CFC-A . The Key Leaders of the Headquarters further had the benefit of briefings from Minister Chetim, NATO’s Senior Civil Representative in Afghnistan. Not all was work, of course, and the Headquarters made the most of opportunities to examineStavanger and the beautiful Norwegian fjords. The 20 hours of daylight enjoyed by the region at this time of year also offered the perfect justification for a few evening manoeuvres in the town, imposing further challenges onto an already gruelling exercise timetable. Training completed, the Headquarters has now recovered to Solbiate Olona. The aim is to take some well-deserved leave before deploying to Kabul in time to assume command of the NATO mission at the beginning of August, marking the first operational deployment for a Headquarters that has proved ready for the challenge. In the final stage of its journey to assume command of ISAF, HQ NRDC-IT has this week deployed to NATO’s Joint Warfare Centre (JWC) in Stavanger, Norway, to conduct Exercise EAGLE THUNDER from 11 to 23 June. The Exercise will provide up-to date training and briefings on the situation in theatre, and test the Headquarters’ staff in a simulation of situations they could face when they deploy in August to command the Kabul-based NATO force. The Exercise has been designed by the NATO operational Headquarters directing the Afghan mission, Joint Force Command Brunssum, as part of the mandatory mission rehearsal training for Headquarters and personnel deploying to Kabul . The programme will concentrate first on allowing the Staff to become fully up-to date with the Afghanistan situation, putting branches together with experts on their specific areas and learning how their ISAF cells operate. The Staff will then have a chance to put their new knowledge into practice, as the main exercise puts them through a simulation of the staffing, communications and situational scenario in Afghanistan today, including potential crises. The main focus of the exercise will be the upcoming National Assembly Elections, due to face the Italy-based HQ a month after it takes over command. As well as focusing on the support of the Afghan Government and NATO’s expanding role in the country, the Staff will have to plan around accidents and natural disasters which make the country such a challenging theatre of operations. The exercise follows 6 months of training and preparation by the Headquarters for its first operational deployment. The most recent, Exercise EAGLE ACTION , was designed to prepare the Headquarters for its mission readiness training and ensure it extracts the most value from this opportunity. Solbiate Olona, 05 May 2005. After months of preparation, HQ NRDC-IT has finally begun its main preparatory exercise for assumption of Headquarters ISAF. Exercise EAGLE ACTION 05 will be held in “Ugo Mara” Barracks and will continue until 13 May 05. The Exercise will train and test the officers and soldiers of HQ NRDC-IT who are destined to deploy to Kabul in August in order to man the NATO-sponsored ISAF mission. The Exercise has been designed in close cooperation with the NATO operational Headquarters directing the Afghan mission,Joint Force Command Brunssum. The programme, based on the real situation in Afghanistan and dealing with contemporary issues, will familiarise the Staff with all of the operational, political and cultural situations they could encounter, including crises. As well as focusing on the support of the Afghan Government and NATO’s expanding role in the country, the Staff will have to plan around accidents and natural disasters which make the country such a challenging theatre of operations. The Staff will be trained in a specially constructed mock-up of HQ ISAF, representing all the branches and advisory cells of that command centre. The CP has been built over the past month by the Corps’ Signal Brigade, providing the 220-strong training audience over 300 computers, satellite communications and all the command facilities they need to carry out their role in theatre, giving access to the latest information about the country. In order to allow such comprehensive training, HQ NRDC-IT has planned Exercise Eagle Action since last autumn. The crucial aspect to direct the training is the Exercise Control, with over 100 staff. 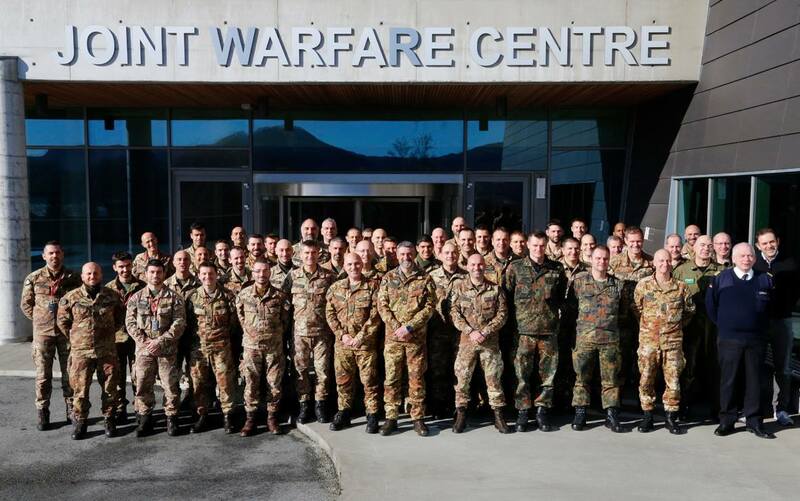 Experts from NATO units, JFC Brunsuum and HQ ISAF VII have a close interest in assisting training with contributions from HQ ARRC and NATO CIMIC Gps North and South. German and Canadian MOD presence along with the US Southern Europe Task American Force and Vicenza-based Battle Command Training Centre bring real theatre experience from outside NATO, alongside experts from International Commission of the Red Cross (ICRC) and the UN Assistance Mission to Afghanistan (UNAMA). 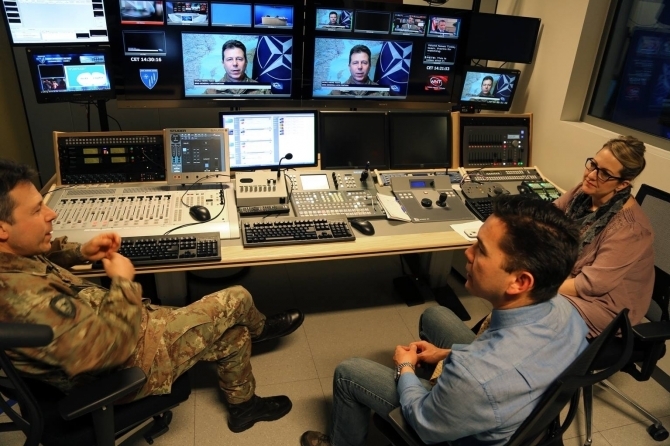 National contributions from Italy in the form of the 28 th “ Pavia” Regiment and the Taurinense Alpini Brigade complement UK media trainers from Defence Media Operations Centre. The Corps has already conducted intense training towards the NRF concept since 2003, taking part in Exercise Northern Light 03 in Northwood and Scotland where the Early Entry Command Post (EECP) deployed within an amphibious task force; and Ex Allied Action 04 in May where the Corps HQ and the NRF Bde deployed North of Rome to rehearse LCC and initial entry operations in a crisis response scenario. Ex Destined Glory 04 represents a significant achievement for this Headquarters, as a milestone in the realization of the NRF development and NATO’s rapidly deployable capability. Solbiate Olona, Italy. NATO Rapid Deployable Corps-Italy will take part to a two weeks exercise in a training area close to Civitavecchia, north of Rome, together with the Joint Force Command (JFC) based in Naples. 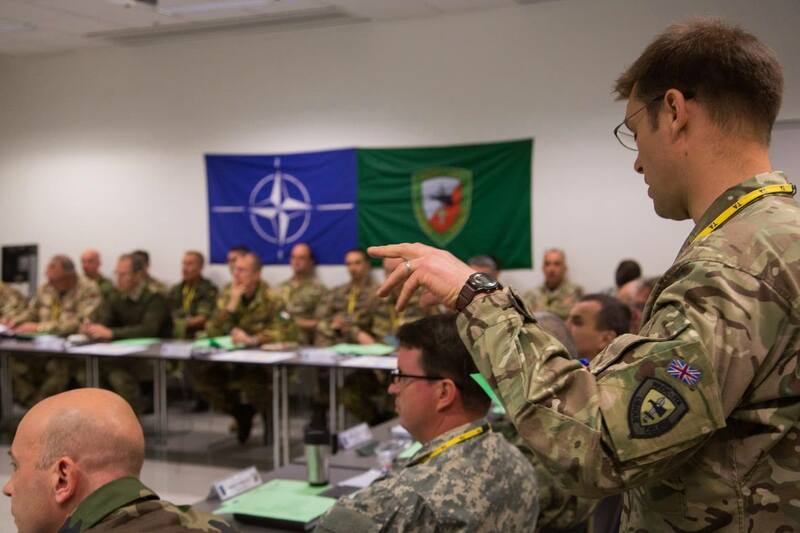 It is a Combined Joint Task Force (CJTF) Command Post Exercise (CPX) designed to certify the JFC and its Component Commands (Air, Land and Navy) to assume responsibility of the NATO Response Force(NRF). Exercise AA04 represents the culmination of the NRF3 implementation process for NRDC-IT and it is part of the Joint force training phase; a period mainly dedicated to improve the joint aspect of NRF, refine procedures and to achieve a better understanding of other components operational views. The Corps has already conducted an intense training activity focused on the NRF concept since 2003 taking part in Exercise Northern Light 03 in Northwood and Scotland where the Early Entry Command Post (EECP) was deployed embarked on a Dutch ship and later operated ashore on the west coast of Scotland within an amphibious task force. In 2004 NRDC-IT has conducted some minor exercises for refining the EE procedures and a major exercise, Eagle Landing 04, in order to test its procedures for planning, mounting and conducting a joint, combined Crisis Response Operation (CRO) based on the Combined Joint Task Force (CJTF) and NRF concept. NRDC-IT will deploy in Civitavecchia training area its Command post as well the Taurinense Alpini Bde , designated as NRF Brigade, and the Chemical Biological Radiological Nuclear (CBRN) Defense Battalion. The exercise represents a good opportunity to improve the command and control (C2) relationships among the land components headquarters and units; the Taurinense Alpini Bdedesignated as NRF Brigade will deploy its Command Post as well as the Chemical Biological Radiological Nuclear (CBRN) Defense Battalion inaugurated last December 2003.The Corps will test its procedures for planning, mounting and conducting a joint, combined Crisis Response Operation (CRO) based on the Combined Joint Task Force (CJTF) and NRF concept; the aim is to exercise NRF roles and responsibilities at tactical levels of command in order to validate NRDC-IT as LCC capable of managing the land NRF package forces. NATO Rapid Deployable Corps-Italy will conduct a two weeks exercise at the end of March, in a training area in North West of Italy, as part of the preparation for the taking over of the Land Component Command (LCC) role from 1st of July 2004 within the NATO Response Force 3 (NRF3) structure. The exercise will be divided in two phases: the first one developed in a NRF scenario where the NRDC-IT will deploy a tailored Command Post able to conduct Non-combatant Evacuation Operation (NEO) and Counter Terrorism, and the second one where the Corps will act as High Readiness Force (HRF) Headquarters within a follow on force deployed after the NRF. Exercise Eagle Landing will be attended by delegations coming national and international headquarters from Army, Navy and Air Force that will act as response cells; in particular ACE Rapid Reaction Corps (ARRC), based in Germany, will play the role of Deployable Joint Task Force Hq, the Combined Air Operations Center 7 based in Larissa (Greece) as Air Component Command (ACC) and COMITMARFOR, based in Taranto (Italy), as Maritime Component Command. Furthermore there will be cells from the 1st IT Mechanized Division based in Vittorio Veneto, an Hungarian Division, an Hungarian CIMIC Coy, a Multinational Specialized Unit (MSU) Battalion and all the Combat Service and Combat Service Support units assigned to NRDC-IT. 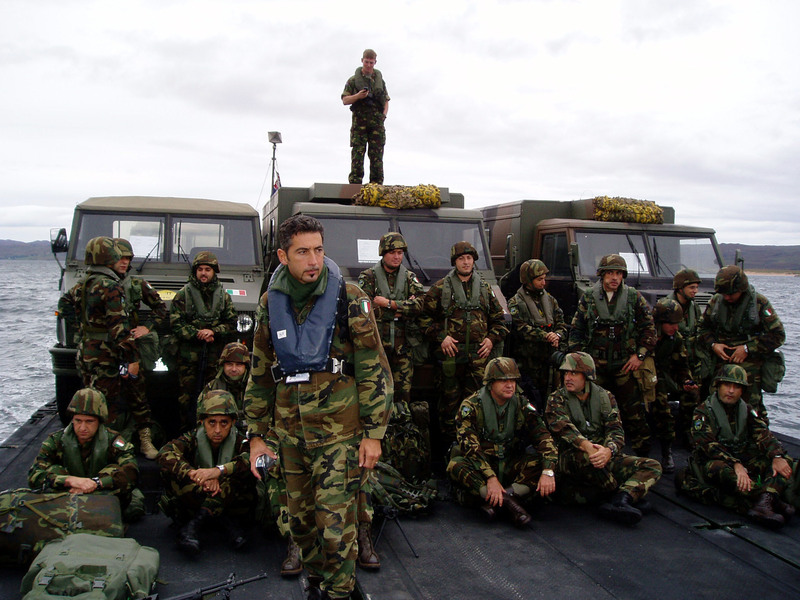 More then 160 staff members of the NRDC-IT Headquarters participated in a major NATO exercise that took place off the west coast of Scotland from 15-26 September 2003. After more than 2 weeks on board of HrMs (NL) ROTTERDAM amphibious ship, the members of NRDC-IT advance Command Post, Early Entry, landed Sunday at dawn on the sandy beach of Luce Bay in order to respond to a crisis situation in LOWLAND (Scotland). The small but highly deployable Command post once landed, reached the West Freught airport setting up its facilities and satellite communications and started liaising with the multinational amphibious component, Ukrainian and French marines, that have landed the day before.” This is an extraordinary training experience that allows us to work in a maritime and amphibious environment and tests our command, control, and communication assets too”, the Chief of Early Entry Team, Italian Army Brigadier General Camillo De Milato, said. The landing was conducted in two different waves, one by air using helicopters and the other by sea using a mobile dock called mexefloate where all the vehicles were placed (see picture). The Early Entry is a versatile command post that precedes the much larger Main Headquarters into a chosen theatre and sets the conditions for the arrival of the forces. Its satellite communications assets consist of an EUTEL and INMARSAT links that guarantees video-teleconference, voice and data services.” We did a rehearsal of loading and landing operations with the Amphibious Task Group along the North West coast of Scotland some days ago and when we arrived here we know exactly what to do” an Italian soldier of the 1st Signal regiment said. NRDC-IT Commander, Lt General Fabrizio Castagnetti, sees this exercise as a step forward in the build up of a joint mentality to the creation of the NRF. Especially for his staff that will play the role of Land Component Command for NATO Response Force 3 (Three) in July 2004 through December 2004.Northern Light is based on a fictitious scenario depicting an armed insurgency in a non-NATO country threatening broader security interests. Based on a formal mandate by the United Nations, NATO is requested to assist in restoring stability to the country and enforce an arms embargo by deploying a Joint Task Force with an amphibious capability. The NATO Rapid Deployable Corps - Italy (NRDC-IT) deployed Exercise SHARP DAGGER ‘03 at the German Army Warfighting Simulation Centre (GAWSC) in Wildflecken near Wurzburg, Germany, from 22 April to 2 May. 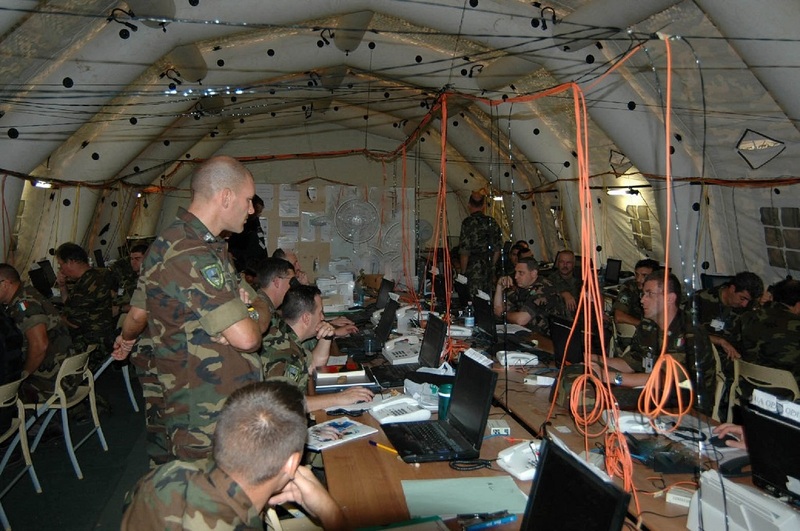 This is a computer-aided, command post exercise designed to enhance the Corps’ ability to command and control PSO and war fighting operations, with particular reference to an asymmetric threat environment. 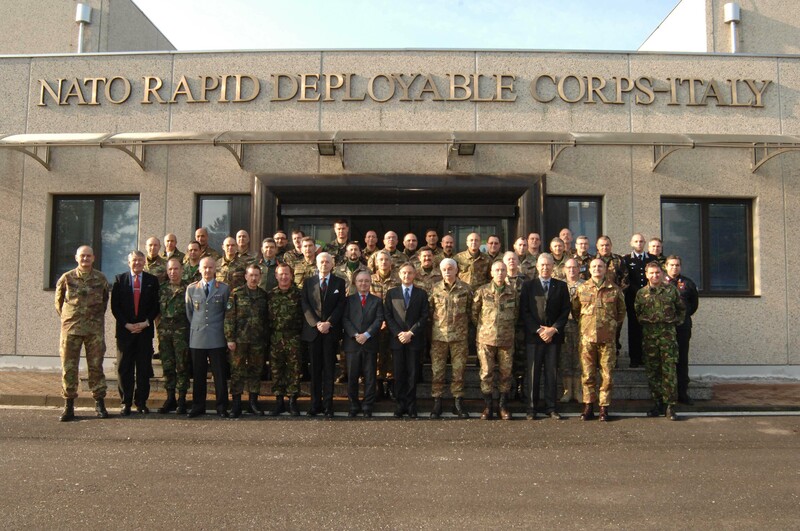 April-May 2003 Solbiate Olona, Italy - The NATO Rapid Deployable Corps - Italy (NRDC-IT) will deploy on Exercise SHARP DAGGER ‘03 at theGerman Army Warfighting Simulation Centre (GAWSC) in Wildflecken near Wurzburg, Germany, from 22 April to 2 May. This is a computer-aided, command post exercise designed to enhance the Corps’ ability to command and control PSO and war fighting operations, with particular reference to an asymmetric threat environment.Exercise SHARP DAGGER is part of the scheduled training programme for 2003 and HQ NRDC-IT's 11 nation staff will be the main training audience. 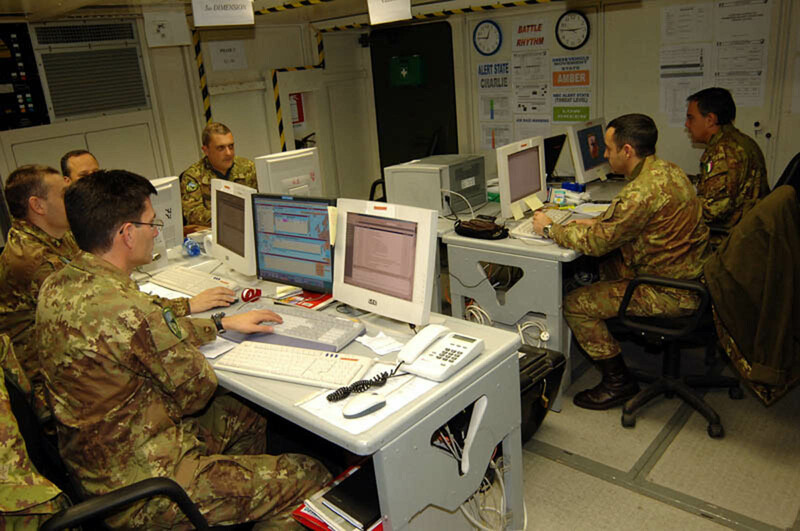 A divisional response cell from Italy and the United Kingdom and a Brigade Hqs from Hungary will provide the Corps’ warfighting formations for the computer-assisted exercise. Combat support and combat service support formations will be provided by units from Italy. In all, over 600 people will be involved in the exercise, replicating a deployed Corps conducting NATO operation with over 50,000 troops. Elements of ACE Rapid Reaction Corps (ARRC) HQ based in Mönchengladbach, Germany will also assist in the exercise. Exercise SHARP DAGGER ‘03 is HQ NRDC-IT's main training event of the year; the training programme includes several annual exercises and study periods designed to maintain a broad-base capability, high readiness and an ability to deploy rapidly in response to any crisis anywhere in the world. The NRDC-IT successfully achieved its Full Operational Capability (FOC) last December during Ex Light Ship after an intense evaluation process started in June 2002. This exercise was the culmination of the validation process, to demonstrate, through a training event, that HQ NRDC has achieved successful completion of all the military criteria required by the Supreme Headquarters Allied Powers, Europe (SHAPE). 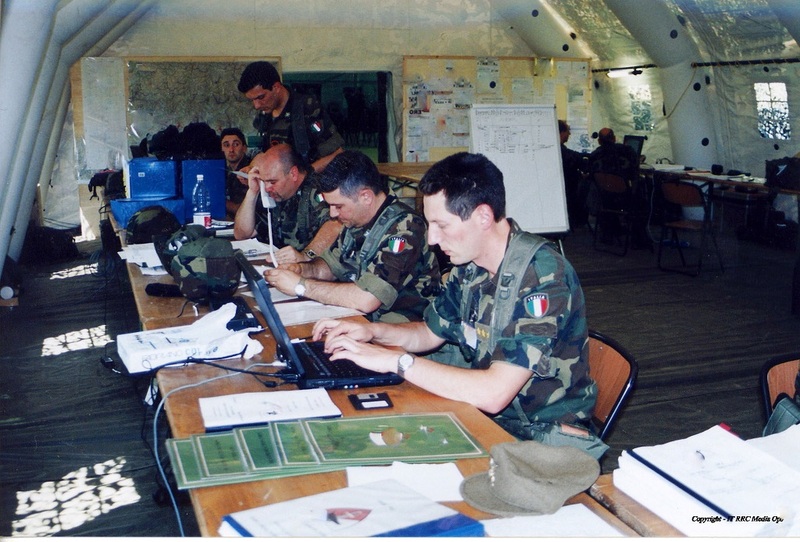 This Exercise represented the Italian Army priority for 2002 and was aimed to exercise HQ NRDC-IT in Deployment, War fighting and Peace Support Operations in order to demonstrate its Full Operational Capability as a High Readiness Force (Land) HQ. NRDC-IT held this exercise in training areas close to CIVITAVECCHIA, 80 km north of Rome, where all the three Command Posts (MAIN, RAS and RSC) had been deployed. The exercise training goals were to test the Staff and the Support Units in planning and executing Joint Operations by introducing a rapidly developing crisis in a simulated region, which is depicted in a real environment. 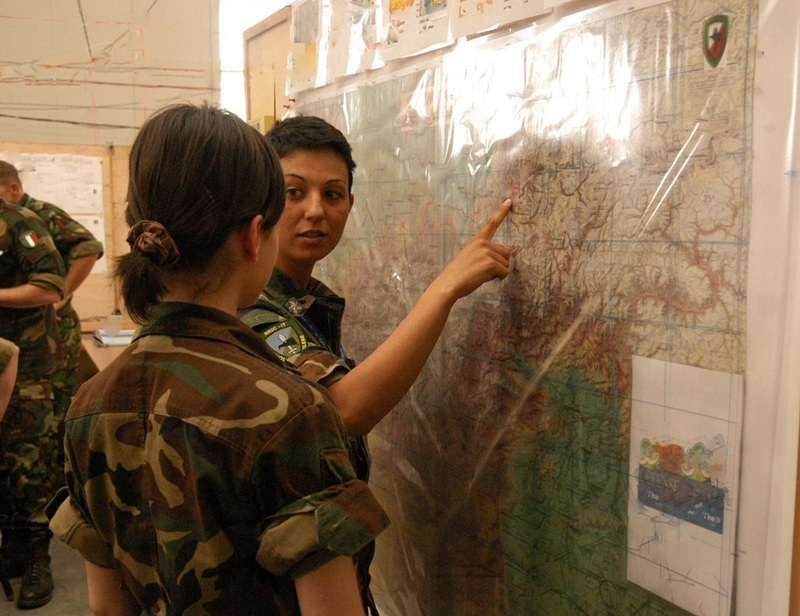 To practise HQ NRDC tactics, techniques and procedures during war fighting as a Land Component Command HQ, including: Offensive and Defensive Operations, Media Operations, Air/Land interface with other components, Engineers Operations, Special Operation Forces and Civil Military Cooperation (CIMIC). To practise the employment and co-ordination of Corps Combat Support assets. Engineer’s assistance to Civil Authorities/UN/NGOs. Furthermore, the command and control arrangements for Corps units assigned to HQ NRDC-IT were also tested. The aim of the exercise was to train HQ NRDC-IT in war fighting and the transition to peace support operations in order to develop the operational effectiveness of the Corps. The exercise’s first phase, the deployment, was part of the Full Operational Capability (FOC) evaluation process. The Static Phase (CPX) from 01 al 07 October 02. As far as the deployment phase was concerned, a Team of "Inspectors" from the Supreme Headquarters Allied Powers, Europe (SHAPE) was present from 23 to 26 Sep 02 in order to verify the "Military Criteria" that for the NATO validation of the HQ’s operational capability. Exercise ObjectivesTo exercise HQ NRDC-IT in war fighting and the transition to PSO in order to develop the operational effectiveness of the corps. limited coordination of military activities (MP, G5 CIMIC, Engineer) with key NGOs during the transition from war fighting to PSO. tactics, techniques and procedures for CSS to the Corps during the transition from war fighting to PSO. in order to confirm that lessons learned on Exercise LION START 02, Exercise SPEARHEAD 02 and Exercise HOT RED FIRE 02 have been addressed. A Command post exercise, where HQ NRDC-IT operated as a Land Component Commander in a conventional war fighting scenario. It was HQ’s first deployment on the field. 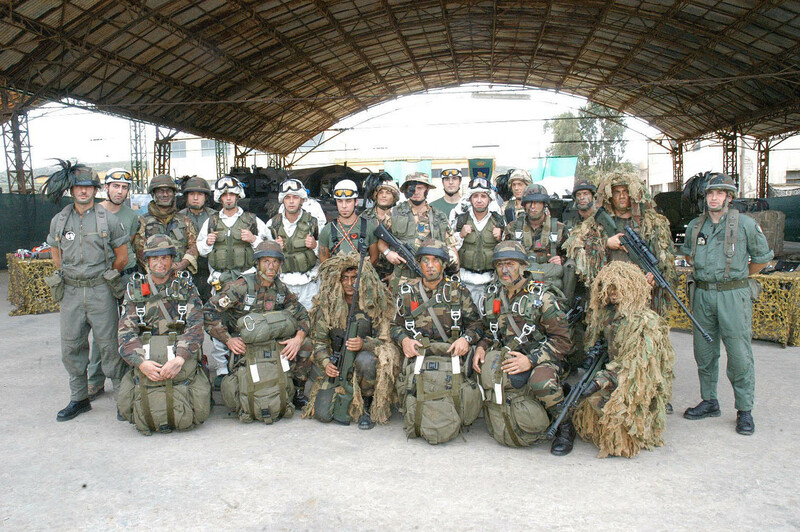 Exercise Hot Red Fire '02 was held by HQ's Staff during the period 11-14 June 2002. It was a Command Post Exercise (CPX) where HQ NRDC-IT operated as Land Component Commander (LCC) in a conventional war fighting scenario and transition to Peace support Opeartion (PSO) in a regional conflict, conducting a non-Article 5 Crisis Response Operation (CRO). Planning procedures focused on FOC scenario. All life support elements in the field. RSC and EXCON deployed and operated within "Ugo Mara" Barracks. The IT Signal Brigade deployed and activated the Command Posts (CPs) in the area of Turbigo and La Conigliera, providing real life support. Chiefs/ACOSs were responsible for their functional areas and activated all cells both in MAIN CP and RAS CP, accordingly. The overall number of participants was about 600 personnel. HQ NRDC-IT Staff elements: in a war fighting and PSO situation playing 8 hrs a day. 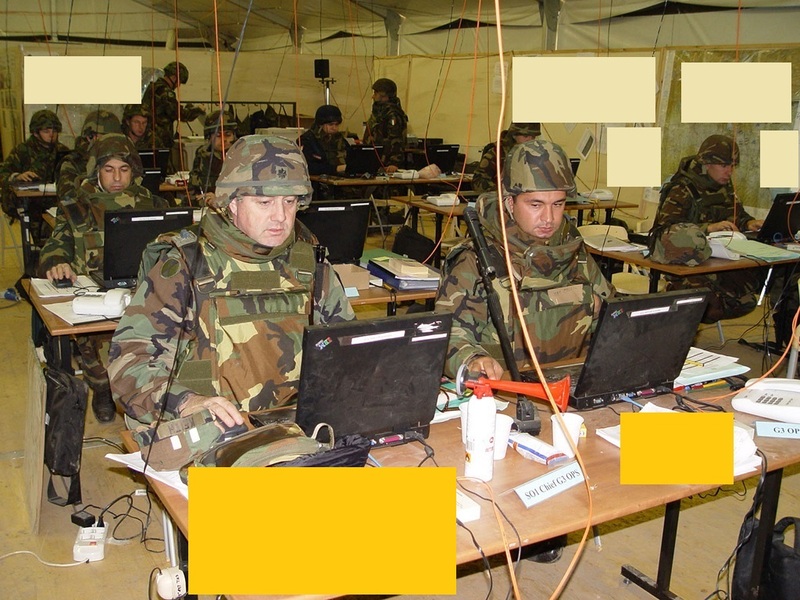 The exercise organization chart was:HQ NRDC-IT Staff deployed and manned the MAIN CP activating all its cells with essential personnel while elements of the Support Regiment (SPT REGT) provided the real life support. The overall number of participants was about 150 personnel. The aim of this exercise, which was the first for the newly established Headquarters, was to test the capability of the HQ's Staff to apply SOPs and SOIs’ procedures in order to achieve the goals for future training activities.